Today, many diseases are prevalent in the society which is promoting people to be more conscious about their health. It is recommended to take ω-6 to ω-3 ratio of fatty acids low to avoid cardiovascular diseases, cancer, autoimmune diseases, hepatic, inflammatory diseases. So people want to find a food or supplement that has low ω-6 to ω-3 ratio of fatty acids. Chia seeds are the best food supplement that have low ω-6 to ω-3 fatty acid ratio. For chia oil, this ratio is < 1, which is very low. Chia seeds are becoming popular day by day due to its nutritious as well as medicinal properties. Chia seeds are the multicolored, oval having varied texture seeds. These are obtained from a plant named chia, from a mint family. Chia was firstly grown in Mexico. These are popular from the time of Aztec and Mayan culture. In Mayan language ‘chia’ word means ‘strength’. Thus chia seeds are the seeds that are used to provide strength and fuel to the body. In that time chia seeds are popularly known as ‘Runner’s seeds’. Chia seeds are very beneficial only due to its nutritious status. It provides 4.4g of protein in just 1 ounce. Also, it is a rich source of fibers, vitamins and minerals. It is known for its anomalous properties like antioxidant, anti-inflammatory, wound healing, antibacterial and energy boosting property. One tablespoon of chia seeds contains 5g dietary fibers and 2g proteins. It is the richest source of omega-3 fatty acids among other plant-based sources. It has 25-30% extractable oil, including alpha-linolenic acid. These fats contain 55% omega-3, 18% omega-6, 6% omega-9 and 10%saturated fats. Above listed benefits of chia seeds are only due to its high nutritious value. Its omega 3 fatty acid prevents metabolic syndromes. Other vitamins and minerals help in boosting energy. Also fiber content helps to regulate the functioning of insulin (hormone). Thus chia seeds are very beneficial to us. Other vitamins and minerals help in boosting energy. Also fiber content helps to regulate the functioning of insulin (hormone). Thus chia seeds are very beneficial to us. Today, a number of chia commercial products are now available in the market like breakfast bars, chocolate bars, seed flour, oil and various type of bread, and bakery products. 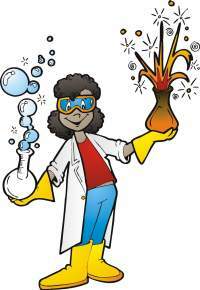 Oil extracted from chia seeds are known as chia oil. Approximately 26-35% oil by weight is extracted from chia seeds. Chia oil, having a higher content of omega 3 fatty acid (alpha linolenic acid), represents an excellent nutritive supplement. Chia oil contains a higher amount of fatty acid than other oils. Also, chia oil has more content of protein and omega 3 fatty acid than seeds. Thus, chia oil is beneficial in reducing the risk of metabolic syndrome. Chia oil also promotes the formation of good cholesterol in the body. Chia oil can be used for cooking. It will provide an omega 3 fatty acid rich base to our food. Thus chia oil is more beneficial than other oils. Chia oil also has insect repellent properties, thus it also prevents the insect attack on chia plant. Chia oil contains a high amount of fatty acids. These fatty acids are very beneficial to health. These fatty acids are good for cell membrane functioning and for eye and brain. Apart from these, omega 3 fatty acid is beneficial for reducing the risk of depression, inflammation, cardiovascular diseases, hepatic diseases and behavioral problems. Chia oil is rich in omega 3s and minerals that benefit health in many ways. Chia seeds and oil is the rich source of protein, vitamins, minerals, fibers and omega 3 fatty acid. Alpha-linolenic acid presents in chia reduce the risk of heart diseases by dissolving different vitamins like vitamin A, D, E and K in itself. This will increase the efficiency of the body to take up these vitamins and protects the heart from different diseases. Different studies also showed that chia protects the heart from different diseases by redistributing fats. Also, chia helped in lowering blood pressure and regulates blood sugar. So chia plays an important role in cardiovascular protection. Thus chia oil ,as well as, seeds are rich source of fibers and linolenic acid which help in maintaining body weight by distributing visceral fat and thus reduce the risk of heart diseases. One another study also concluded that alpha-linolenic content of chia is beneficial to reduce the risk of cardiovascular diseases. But, proper mechanism for is yet not known. It reduces the amount of triglycerides in the blood, risk of irregular heartbeats, plaque formation and high blood pressure. Thus protects the heart from diseases. Chia is also good for diabetic patients. Different studies showed that omega 3 fatty acid of chia is beneficial for diabetes. The anti-inflammatory property of chia is very beneficial to cure diabetes. A study was conducted on humans to show effectiveness of chia in controlling the blood glucose level before and after the meal. Controlled blood glucose level also reduced chronic inflammation and blood pressure. Thus chia seeds are beneficial for diabetes and cardiac diseases. Alpha-linolenic acid also helps in reducing C-reactive protein (indicator of inflammation in arteries) and systolic blood pressure. Chia is also beneficial in reducing blood pressure or risk of hypertension. Omega 3 fatty acid is very beneficial in reducing high blood pressure. As chia has a high amount of omega 3 fatty acid, so it prevents elevation of blood pressure. A study on human showed that chia can reduce the blood pressure efficiently. Omega 3 fatty acid found in chia is also beneficial to protect our liver. Omega 3 fatty acid prevents from lipotoxicity, fatty liver disease and dyslipidemia. A study on animals showed the mechanism that how chia seeds benefit in dyslipidemia and insulin resistance. In this study, omega 3 fatty acid of chia seeds prevented the lipotoxicity that infected the cardiac muscles. Chia seeds prevented the lipotoxicity generally by lowering plasma fats. 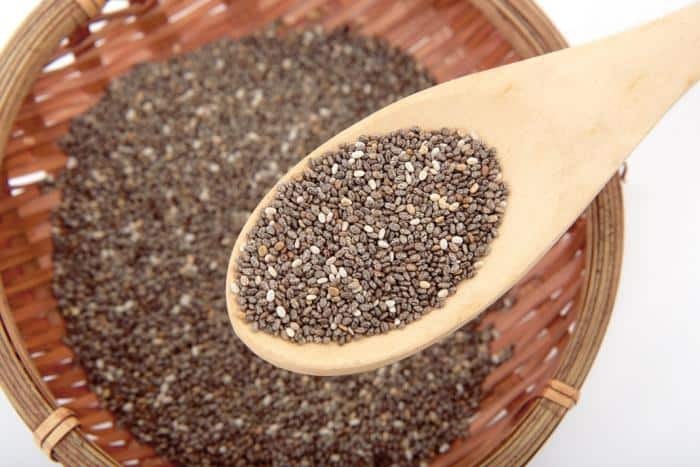 A study showed that alpha-linolenic acid of chia redistributes the fats away from liver and prevent it from diseases. Thus lower the risk of fatty liver disease. Also, alpha-linolenic acid normalizes the activity of different enzymes of the liver. Omega 3 fatty acid is good for pregnancy. Chia oil rich in alpha linolenic acid. Alpha linolenic acid is the precursor of docosahexaenoic acid (DHA). This acid plays an important role during pregnancy. This acid is vital for the formation of brain and eye in foetus. A study on the healthy pregnant women was conducted to show the conversion of alpha linolenic acid into DHA. Results showed that chia oil is beneficial for the production of DHA, when taken during last trimester of pregnancy. Also it increased the milk DHA content if consumed during first three months of nursing. Diet rich in omega 3 fatty acid can prevent types of cancer like prostate, breast and colon cancer. Studies showed that combination of medication and omega 3 fatty acid supplements could hasten the treatment of cancer. Chia seeds are an excellent source of omega 3s and can help in cancer prevention. Chia oil contains more omega 3 fatty acid than chia seeds. Studies showed that omega 3 fatty acids from chia oil reduce the size of tumor and also increase the rate of apoptosis and T-lymphocytes. Thus help in treating cancer. Omega 3 fatty acid has anomalous properties. Due to these properties, it has the ability to prevent many diseases. Rheumatoid arthritis is one of those. Omega 3 fatty acid prevents rheumatoid arthritis because of its anti-inflammatory property. A study on human showed that by consuming omega 3 fatty acid for a period of 3 months help in reduction of rheumatoid conditions. Thus omega 3 fatty acid supplements should be taken with rheumatoid arthritis. Chia seeds give 2.5 g of alpha-linolenic acid in just one tablespoon. Thus chia seeds are also beneficial for rheumatoid arthritis patients. Omega-3 fatty acids of chia seeds are also efficient of for boosting the energy of athletes. Research shows that chia seeds drink is, as efficient as, carbohydrate energy drink for boosting stamina in athletes. Antioxidant content of chia oil is more than that of chia seeds. Antioxidant activity is expressed by different enzymes for example superoxide dismutase and glutathione peroxidase. Chia oil is very useful to induce the expression of these enzymes. Thus it promotes the antioxidant activity. Chia oil can also use in place of sweetener. Normally sucrose or other carbohydrate rich sweeteners are used. But chia oil act as a nutritive and beneficial sweetener. A study was performed which showed that chia oil can act as natural sweetener for making chocolate. Chia oil is the one of the best oil for skin. A study was conducted on patients infected with xerotic prupitus( a disease in which skin becomes dry and begins to crack). The patients had to apply chia seed oil for 8 weeks. It was observed that chia oil improve the skin hydration and reduced the cracks. Thus chia oil can be used as an effective moisturizer for pruritic skin. As chia oil contains a number of antioxidants and also has an anti-inflammatory response, it makes an excellent anti-aging agent . It can prevent the signs of ageing like wrinkles, fine lines and enlarged pore. Chia oil can also act as an excellent serum. Just few drop of chia seeds can provide shining and glowing skin. Regular intake of chia seeds can enhance skin radiance. Chia oil is a rich source of proteins, copper, zinc, alpha-linolenic acid and iron. These elements are necessary for the growth and strength of hair. Copper induces the production of hair pigment, melanin, alpha-linolenic acid help to neutralize the dry scalp, iron is necessary for the transport of oxygen and zinc helps in production of new hair. Thus chia oil is also beneficial for the growth of hair. Chia oil can be consumed at a dose of 1-2 teaspoon daily. For adults daily intake of chia seeds is 18-20 g/day and postmenopausal women it is 25g/day. Chia oil should be consumed in moderation, though there are no known side effects of chia oil. Chia seeds do not cause any side effects unless you are allergic to them or you eat excess which could cause gastric side effects. However do not consume water after consuming dry whole chia seeds. They can swell in volume and obstruct the food passage. It is best to incorporate soaked or ground chia seed in diet. Chia oil is the rich source of alpha-linolenic acid. Thus it prevents many diseases like diabetes, high blood pressure, rheumatoid arthritis, cancer, inflammatory diseases, autoimmune diseases, skin disorders and a lot of other diseases too. Chia oil can be consumed by any age group and have many health benefits like chia seeds. Previous articleDoes Yacon Syrup Help In Weight Loss?